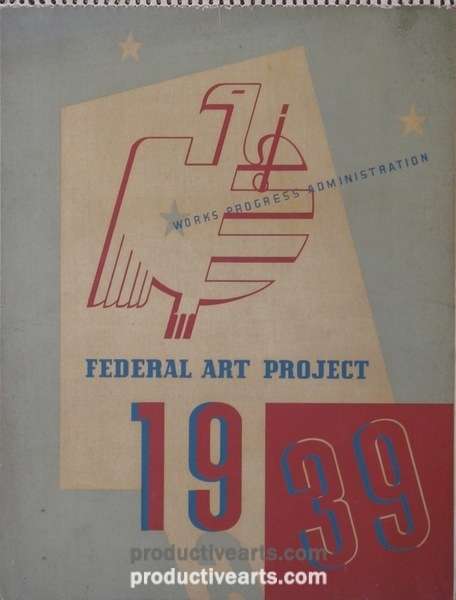 A large collection of WPA posters, publications and ephemera, including many items acquired from Anthony Velonis, who pioneered the silkscreen printing process while at the New York City WPA poster division. 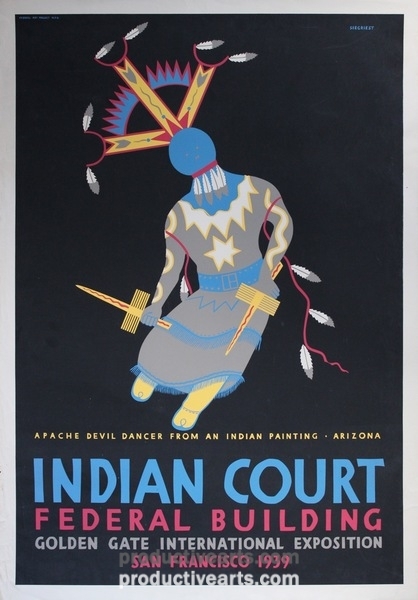 Posters by Velonis, Katherine Milhous, Harry Herzog, Richard Halls, Aida McKenzie and William McBride, as well as Louis Seigriest’s Indian Court complete series of eight posters. 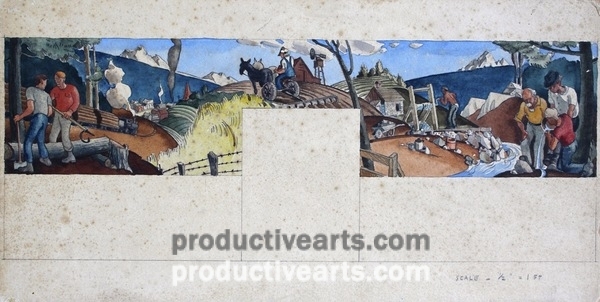 Mural studies by Kindred McLeary for the post office at South Norwalk CT and George Post for the Sonora CA Union High School. 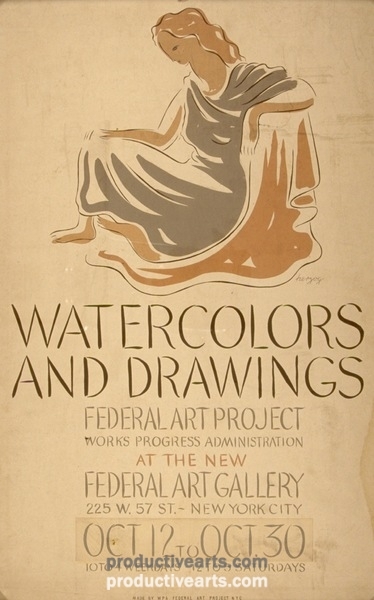 Post’s study is a watercolor that was exhibited at the San Francisco Museum of Art in 1936. 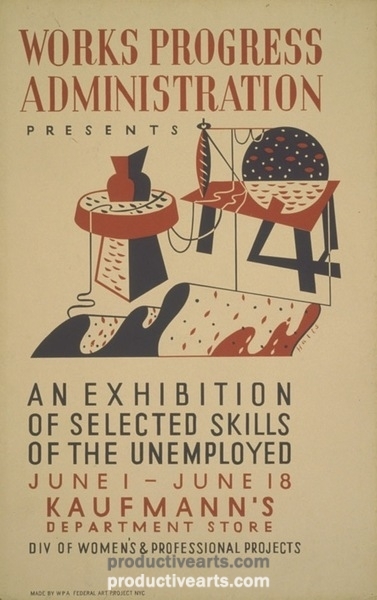 Poster maquettes and proofs, WPA publications on print making and the arts. 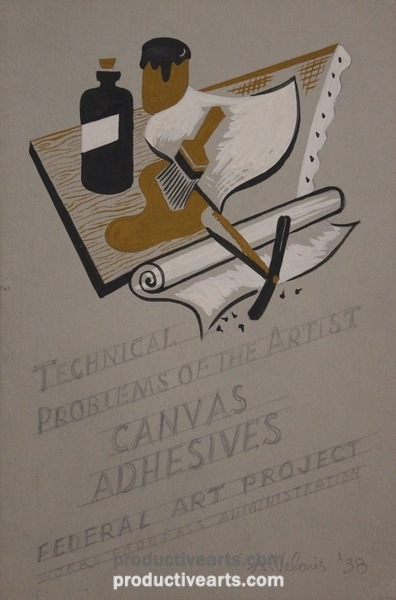 © 2019 Productive Arts. All Rights Reserved. Thanks for signing up! Please check your inbox in a few minutes for a confirmation email. Contact us for inquiries.